Manual and automatic driving lessons, plus intensive driving courses in Lancing. 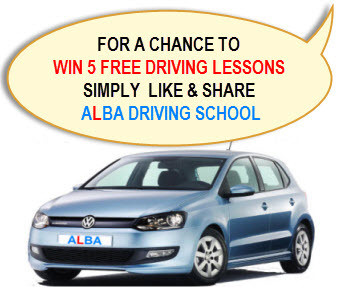 ALBA has the best driving instructors in Lancing. Our goal is to give you the skills and confidence you need for the road ahead! We are highly passionate, committed and of course approved by DVSA. All our learners pass their driving test with excellent driving ability, safety awareness and are therefore ready to take on the challenges of today’s roads. We promise you quality driving lessons that will guarantee you quick pass driving test with confidence.